This article first appeared in The Edge Financial Daily, on November 19, 2015. 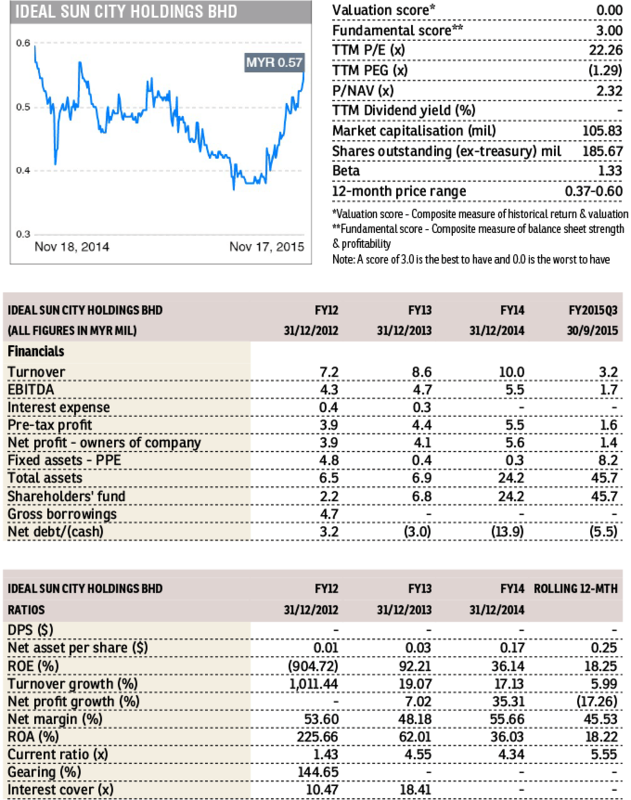 Ideal Sun City (Fundamental: 3/3, Valuation: 0/3) closed unchanged at 57 sen yesterday. However, the stock has risen by 17.5% since it was first picked by our momentum algorithm on October 22. 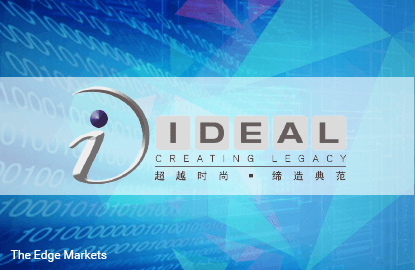 Last Friday, the company’s largest shareholder, Ideal Sun City Sdn Bhd, has ceased to be a substantial shareholder after disposing of 41.4 million shares or 22.3% stake in the company. The buyer appears to be Success Tower Sdn Bhd, which acquired 49.1 million shares or 26.4% stake on the same day. Success Tower now owns a 31.3% stake in Ideal Sun City. Penang-based Ideal Sun City is primarily involved in project design evaluation, project value engineering and project construction management. The company was previously involved in the propagation of ornamental plants business, which ceased in 2014. For 3Q2015, revenue jumped 78.1% y-y to RM3.2 million while net profit surged 75.7% to RM1.4 million, due to higher income generated from project management services.